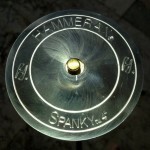 The Hammerax 4" "Spanky" cymbal is a high-pitched, ultra-fast speaking, two-layer stacked special effects cymbal. 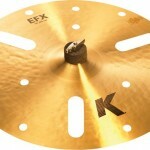 It fits very well over your ride cymbal bell or can be used on its own. 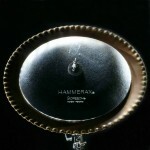 All Hammerax instruments are torture-tested so you can hit them as hard as needed for projection and volume. (Ear protection is always recommended when drumming.) 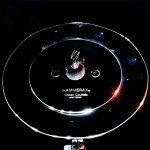 The distinctive bright edge tells you it’s a genuine Hammerax brand instrument that's 100% made in the USA! 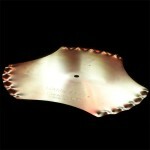 This special effects crash cymbal has a unique set of laser generated "cut outs" that allow it to produce a quick, dry, and trashy sound used for accenting and punctuating. 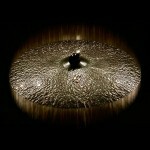 The brilliant finish makes this "must have" shimmer like any A Custom. 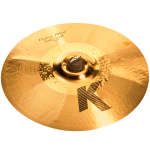 Zildjian K Custom Hybrid Trash Smash-19"
Thin in weight, the Innovative Trash Smash has an inverted bell and is designed to be used as a ride and crash cymbal effect. 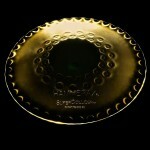 The size is 19 inches. 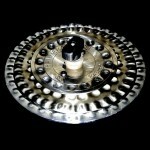 This is adaptable for all styles of music. The Hammerax 8" Bash cymbal is a triple layer stack featuring 3 independent layers that create a complex burst of mid range fury. 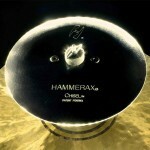 All Hammerax instruments are torture-tested so you can hit them as hard as needed for projection and volume. 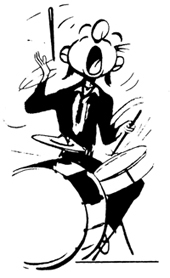 (Ear protection is always recommended when drumming.) 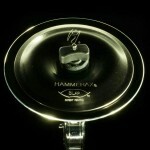 The distinctive bright edge tells you it’s a genuine Hammerax brand instrument that’s 100% made in the USA! The Indigo® 21" flat ride is dark, lush, and rich with a beautiful dark stick sound and no dead spots. 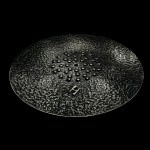 After initial casting and rolling, the metal is shaped and forged totally by hand hammering. 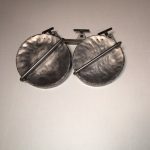 Central “microcups” add richness and allow one handed rolls with a hint of airy highs. 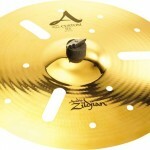 This cymbal features a very tough—4-year warranty and 100% made in USA.TEMPORARILY UNAVAILABLE.